We offer custom Sunrooms with an array of options that allow you to create a new space that compliments your home. 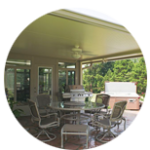 Sunrooms Express Knoxville is a professional patio cover contractor. If you are considering building a patio cover on your home, you’ve come to the right place. Nothing provides more value and comfort to your home than enhancing your backyard with one of our custom, and easy to afford screen rooms. 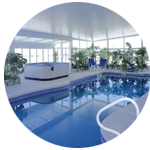 If swimming is important to you, there’s no better way than with a custom built swimming pool screen cage by Sunrooms Express Knoxville. Express offer a variety of window types, as well as styles and prices to fit in perfectly with your home and budget. Getting a Free Estimate is Simple! We are very impressed with Sunrooms Express. Barry and his crew designed, built, and completed our new screen room on time and on budget. And it is beautiful! We’ve had many contractors work on our home, and this was by far the best experience. No calling and wondering if and when the work will get done. We highly recommend Sunrooms Express! 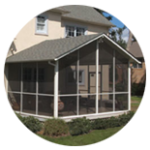 Our company has more than 30 of years’ experience in the sunroom industry. We are a licensed and insured general contractor serving Knoxville and the surrounding counties. We are price competitively, respond immediately, and always put our customers first. Feel Free to contact us to schedule a free estimate at your convenience.